Your Tello location test are very interesting. Please, can you tell me what manual are you talking about ? From the official website on about the second last page I think you find the specs sheet. I might be out early morning for a range test on my phone only in the field as I dont have accurate RF power meter at hand. From what I heard over at the sparkpilot forum. 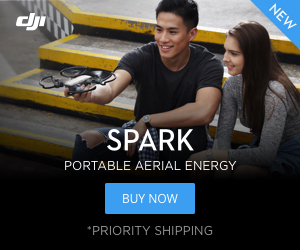 Australians around me are getting 2km FCC standard range with spark. So I expecting max range when I turn location on but still I would like to find out if location off causes any changes. I've seen what you say, different power levels from United States (FCC), Europe (CE) and China (SRRC). It's not clear for me this is a software configuration or different hardware models for each country. I noticed Tello's range frequency goes from 2.4 to 2.4835 Ghz. Just to be sure: You reset Tello by keeping power button pressed for something like 8 sec? Or is there another way? Because: It could not detect any message sent by the OEM app that programs Tello to a certain region. It queries the region but does not set it. I just receive "US" no matter what which is certainly wrong. Looks like a dead end street to me. That's a very interesting discovery. I have new clues about Tello's region setting it's a hardware matter. I extracted my Tello baterie and notice a label sticked inside Tello's body showing a serial number. I realized my serial number looks like OT*****EU*****. It has clearly letters 'EU' inside. Could anybody who bought his Tello outside European Union share their serial code ? This what I did. Measure wifi strength with location enabled. Delete app, hold down power for 5 secs til tello shuts down, and restart it. Then measure the reset tello’s wifi strength. I then did it in reverse, reset, measure , enable location amd restart tello and measure again. The reading’s fluctuation was too great to distinguish 1dbm of difference. Is there anyway I can query mine like you did? @raulvolador lucky i was just in a chat with ryze support yesterday asking for info on region setting, they asked for my info containing tello serial for ticket generation. The two digits before the last 5 were EU. My tello was purchased from a popular electronics retailer store in Sydney Australia. Perhaps someone got it in the US could help? I will ask on fb group now. one guy from the USA on tello fb group reported EU in his serial too. Update: Many more people reported EU in serial from australia and us. Also people reported tello bought in walmart USA had EU or MB in the serial. I think it is quite sure now it is not a region code. Oops..., It seems I was wrong about 'EU' letters meaning into serial number. well at least @volate!lo confirmed oem app does not set tello to any region so I suppose tello has fixed radio power, which means EU and US users should get comparably flight time under the same flight condition. More radio power for tello will eat battery more which would make US tellos fly less. What could the app do is setting the phone transmission power though. I think the tello document might be stating the power limit for the phone when flying the oem app, I did some extensive reading and it appears for iPhone X the max average power is usually under 20dbm in the wifi band. The max avg power could be higher or lower depending on which channel you are in and which antenna you are using. (iPhone has multiple) The effect could be totally negated by using a repeater which a lot of us do. A field test with phone alone could test this, I think. Will report back once I carry the test out. UPDATE: I carried out the test. I had cellular and bt off flying tello with location enabled. The i reset tello by holding power, reinstalled the oem app with location disabled and cellular data disabled. Flew again. Marked the distance on the grass with sticks on my local football field with little interference around. I found no difference between range (the point where signal goes from 3 to 2 bars). If anything, having the location on actually made tello lose signal from 3 to 2 bar further, like 2m more (the very first test with location). The following two tests, without location then with location again yielded same range. I was going to fly til tello lose connection but decided to do 3 to 2 bars, because I could get ~100m range somehow and that was too much running... tello at 100m gave me intermittent vid feed but control did not work. I’m starting to think the region power limit in the document is cow poop now. Ryze told me this just now. Possbily smart talking? We have an update about from our dedicated team. For the inquiry about app assume FCC or CE mode when location service unavailable. The Tello will check where it is after being powered on (according to the mobile device's network and SIM card) and then switch to required compliance according to the detected country code of the current country. But it will not restart its WiFi and switch to that compliance immediately. It will use the updated country code after it is restarted. Interesting. So somehow I missed this "set wifi power" message duing startup. I will check again. In my opinion, that message also should determine amount of available Wi-Fi channels: 11 channels (1th to 11th) at FCC region versus 13 channels (1th to 13th) at CE region. Exotic Japan 14th channel seems unreachable for Tello acording specifications. Exactly. How can we force tello to select channel 12 & 13 to test though is the question. I'll try it using my Wifi Deauther trick and will report here. Buy one for me too. Yesterday I did not get my Tello choosing wifi channels 12 & 13, those that are exclusive to 'CE' region. I use my Wifi Deauther trick Tello WIFI channel selection, feeding Deauther stick through usb powerbank and placing close to Tello. All my efforts did not help. Tello refuses to connect at high channels 12th & 13th. I really did not get it to use channel 11th either, but it can be explained because channel 11th it's a very busy channel into my neighborhood. This test results makes me think my Tello is configured at region 'FCC' even though I live into a 'CE' region. Could it be when we put our phone in airplane mode before flight we are preventing Tello from knowing where it is really located ? Good work! The picture has so many channels. Curious to be know which channel tello selected exactly if not channel 11 12 and 13, i cant see in your picture. Also, I’d say probably have location and cellular data (you can test these two settings individually) enabled for the oem app and connect to tello, shut tello, start wifi deuther, start tello and connect to oem app. Then perform you wifi analysis. Curious to be know which channel tello selected exactly if not channel 11 12 and 13, i cant see in your picture. It choose a low channel, I think it was 4th channel. I'll do it that way and will report here. About region command, I couldn't find how it works. But I could see the region string such as KO, US came after sending below 21 command. Can it help into our quest for a Tello Region initialization ? Full both post are located here: Tello. Whats possible? and here Tello. Whats possible? Last months I have been flying my Tello using Xiaomi WIFI Repeater 2. It's a great piece of hardware that allowed me flying farther and safer. But recently I have noticed about WIFI+S Range Extender. I bought one of them and gave it a try. I'm pleasantly surprised. It performed very well, better than Xiami. I would like to share my experiences and invite you doing the same. Externally WIFI+S Extender is bigger, heavier and heats up more than Xiaomi Repeater. This makes it more uncomfortable to use, but all these characteristics indicate that it is more powerful. I tested both into a well know urban environment I use to flight often, under moderate wifi interference. I tried to be fair. Same conditions, same takeoff point, same route, even same WIFI channel (I tested it using Wifi Analyzer app). Both flights were at Fixed bitrate 1mb/s and 0 iframe interval. I clearly got double performance from WIFI+S Range Extender than Xiami WIFI Repeater. Hi Raul! Are you still using the Wi-Fi S extender?